The new NorthWest Shopping Centre is set to create up to 700 job opportunities for the region. For more than a decade councillors have been pushing for the development of the north-west area. The $155 million shopping centre in Westgate, whichhas 100 retail stores and spans the equivalent of four rugby fields, will open in October. It will drive employment to complement the region’s population growth, DNZ Property Fund chief executive Peter Alexander says. “The site has employed more than 250 construction workers since development began last year and now retail jobs will follow,” he says. Auckland’s Deputy Mayor and former Waitakere City councillor Penny Hulse has been involved with the development of the north-west area for more than 10 years. “As a council we in Waitakere were dismayed that around 70 per cent of West Aucklanders had to go outside the area to work. Councillor for Waitakere Linda Cooper says she can’t see anything but positives coming from the new Westgate Town Centre development. Creating permanent jobs in the Eastern Bay of Plenty for local residents is no easy task. Agriculture, horticulture and forestry are the dominant industries but technology and innovation is helping these sectors become more productive while requiring less physical labour. 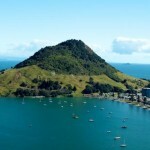 The Eastern Bay of Plenty Regional Economic Development Trust (which is known as Toi-EDA), is working hard to overcome this challenge and create long-term employment opportunities in Kawerau, Opotiki and Whakatane. Trust Chairman John Galbraith says the Eastern Bay is “unfortunately one of the most deprived areas in the country across a range of socio-economic factors.” But the region has great potential given its location, climate, strong Maori asset base and availability of land. Aquaculture, tourism and kiwifruit are regarded as “job rich” industries which Toi-EDA is focusing on. The Trust works closely with the Bay of Plenty’s wider economic development agency (Bay of Connections) to investigate and implement strategies that will boost long-term job prospects across a range of industries. John says the ongoing development of a mussel farm off the coast of Opotiki is forecast to generate over 300 jobs by the time it’s fully operational in 2025. And the kiwifruit industry’s future also looks bright – with rapid expansion predicted over the next decade. To view full story you can by following this link. A new training programme for workers in the fishing industry is providing permanent employment opportunities for Hawke’s Bay locals. “Ara Ika” is filling the void of skilled fishing workers which has seen a decline over the last few years. Give a man a fish, he can feed his family for a day. But give a man a boat and a net, he can provide for his family forever. That’s exactly what Ron Van Dillen from Hawke’s Bay Seafoods has done for Tamati Hunuhunu (Te Arawa). Auckland 20-21 APRIL | 23-24 Wellington 2015. #it18nz is the first and only event dedicated to talent management and recruitment in the IT sector. The event exclusively focuses on talent management in the tech sector, with a special focus on the attraction, recruitment and retention of IT professionals in NZ. You can also click here to see the great line up of speakers. SKYCITY Auckland is one of five locations owned by SKYCITY Entertainment Group, a leading entertainment business in New Zealand and Australia employing over 6,000 people. In Auckland alone, there are more than 3,200 people working across the casino, two luxury hotels, 22 award-winning restaurants and bars, New Zealand’s largest convention centre and the iconic Sky Tower, as well as those working behind the scenes in property services and corporate. It’s a very diverse team made up of over 70 different cultures, which makes for a welcoming, fun, inclusive work environment. As such a large employer, it means there are lots of opportunities for people to prove their capability and advance their careers. In fact, almost 40% of all advertised jobs are filled by existing employees. 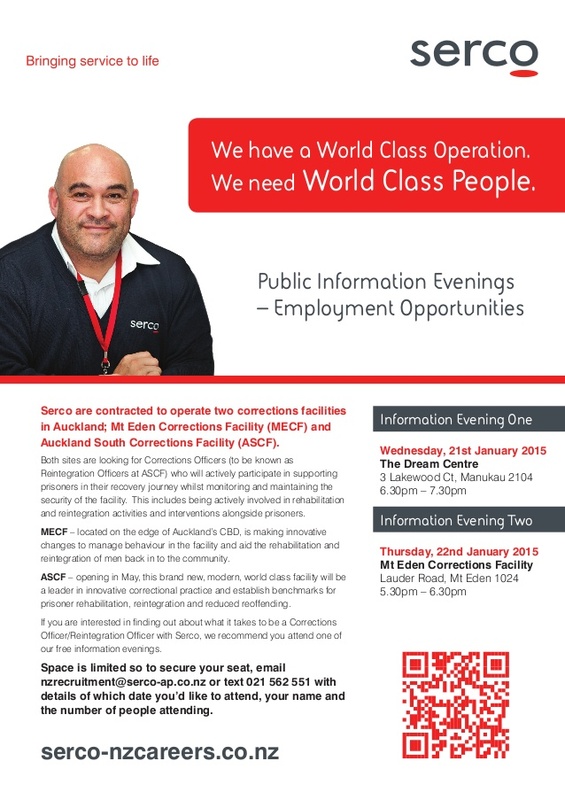 Click here to see other opportunities from SKYCITY. 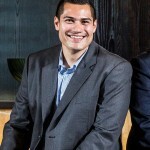 In 2012, after 18 months working in sales in Australia, Adrian returned to New Zealand to work at SKYCITY as a Marketing Coordinator. Two promotions later, he’s now a Campaign Manager. Tertiary Education, Skills and Employment Minister Steven Joyce today launched the Government’s new Māori and Pasifika Trades Training initiative for Rotorua. 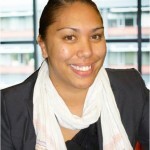 The SkillMe consortium led by Waiariki Institute of Technology in partnership with Te Taumata o Ngāti Whakaue Iho Ake Trust, Te Whare Wānanga o Awanuiarangi and Taumarunui Community Kokiri Trust, has been set up to get more young Māori and Pasifika into apprenticeships and employment. “With our economy growing strongly there is a real need for skilled trades people, particularly with the demand for new housing in Auckland and with the Christchurch rebuild,” Mr Joyce says. Carpentry students of the SkillME Māori and Pasifika Trades Training initiative (Rotorua) will gain real life experience by building a house from the ground up under the watchful eye of tutors and local builders. Students will complete a year-long Certificate in Carpentry and look to gain employment and potentially an apprenticeship in carpentry. “The Government is committed to using our growing economy to raise the standard of living for all New Zealanders. The SkillME course offers a pathway into sustainable employment that will benefit young, local Māori and Pacific men and women, and their whānau, right through their working lives,” Mr Joyce says. The SkillMe consortium is one of twelve around the country delivering the Government’s $43 million Māori and Pasifika Trades Training initiative which will provide 3000 places by 2015. Consortia are operating in Northland, Auckland, Waikato, Rotorua, the East Coast, Hawkes Bay, Greater Wellington and Canterbury. The initiative brings together tertiary education providers, Māori and/or Pasifika organisations and employers. Their role is to ensure training is aligned to the needs of employers and learners, and leverages the knowledge and networks of Māori, Pasifika and other community groups to recruit and support learners. Te Pūtea Whakatupu Trust is proud to convene its fourth annual Ngā Whetū Hei Whai – Charting Pathways for Māori Industry Futures Conference on the 25-26 August 2014 at the Claudelands Exhibition Centre Hamilton. 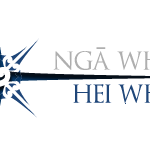 Te Pūtea Whakatupu Trust is proud to convene its fourth annual Ngā Whetū Hei Whai – Charting Pathways for Māori Industry Futures Conference on the 25th-26th August 2014 at the Claudelands Exhibition Centre Hamilton. We have a stunning lineup of recognised business and iwi leaders both nationally and internationally joining us at the conference and open the lens and discussion on the navigational path to guide us in the Māori Economy. This year our presiding Māori Business Leader is Mr Waka Vercoe, a humble and courageous business leader committed to his people of Ngāti Awa and the wider Māori economy. He will share with us his amazing journey in economic and social wealth creation for his people and his continued commitment to Māori development. The conference theme is Charting Pathways for Māori Industry Futures with a key objective of connecting Māori business leaders and aspirational leaders in our economy today. View the programme and speakers profile to find out more about the conference and register to attend today. Where are all the Māori educators? Te Tari Puna Ora o Aotearoa / NZ Childcare Association’s Iti Rearea publication. Winter 2014. Click here to read NZCA Iti Rearea Winter 2014 230614 including Donna’s story.